Waxwork is back at Venuu to get you warmed up for the Bank Holiday weekend, with an eclectic mix of alternative tunes spinning from 11pm til the small hours. The Waxwork crew are showing their patriotism for the Big Q, in the form of generosity – offering a free shot to anyone past or present that likes their Facebook page! Take a listen to their summery Sounds Of June Mix to get you in the mood. 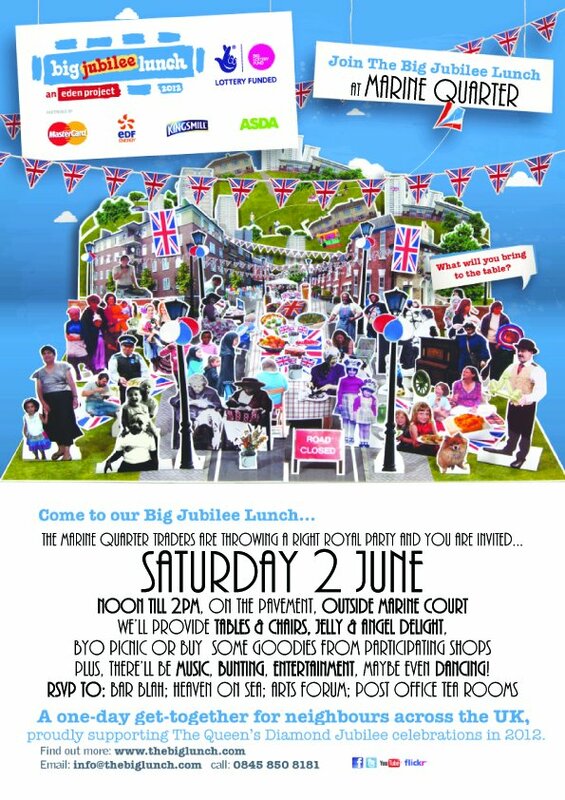 The good folks at Bar Blah, Cafe Relax and The Post Office Tea Rooms have gotten together to put on a right royal spread for the Big Jubilee Lunch. With tables, chairs, music and jelly on offer, plus whatever tasty picnic treats you bring for yourself. This sounds like a delightful way to spend your Saturday afternoon. Come early evening The Stade once again plays host to to some excellent early evening entertainment. This week sees De Jongens Driest – boasting to be Holland’s smallest brass band. Taking musical inspiration from jazz, rock, ska, klezmer and salsa – This Is Hastings is intrigued! Come the latter part of the eve, the Pig In Paradise is the place to be, with the launch of the brand new monthly club night: Tiki Lounge. Offering a mix of rockabilly, surf, doo-wap and rock n’ roll, this sounds like a great night to get your twist on, and if Scooter Skirmish is anything to go by, Tiki Lounge looks to be the place to be on the first Saturday of every month!